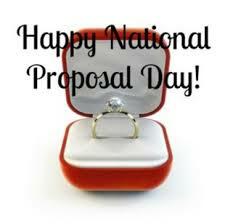 Not only is it the first day of Spring, but it’s also National Proposal Day! In honor of such a romantic and inspiring day we at Dates & Mates would like to share some amazing love statistics from around the world from David’s Bridal 8th Annual “What’s on Brides’ Minds” survey from both newly engaged women to those who are veterans of marriage. David’s Bridal reveals the truth behind the ‘I do’— from their engagement expectations to their dream movie hubby to the proposal and what went wrong. For you guys out there who are sweating over popping the question, these stats can help to ensure everything goes according to plan. 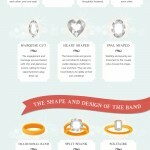 Turns out, most women weren’t entirely surprised when their significant other got down on one knee. When asked about their engagement experience, a majority of respondents (57%) said they knew it was coming, while 43% said they were surprised by the proposal. Congrats to the men that kept it a secret! Creating the perfect proposal setup is no easy task; that’s why most women wish they could change at least one little detail about their big moment. Guys, take note (and ask questions) before popping THE question! When asked if they would change something about their proposal, most women (a whopping 53%!!) said they would! Some women are taking their future hubby’s last name BEFORE he pops the question…in cyberspace that is! 1 in 5 women surveyed said they reserved internet usernames with their new married name before they were actually engaged! Plus, another 25% seriously considered it. Talk about planning ahead! Women often pine for the fictional stars of popular movies and literary love stories. So which leading male characters do ladies desire to say “yes” to? With 40% of the vote, ladies most want to say “I Do” to Ryan Gosling’s romantic “The Notebook” character, Noah Calhoun. Leonardo DiCaprio’s swoon-worthy Jack Dawson of “Titanic” takes the silver medal with 30% of votes. Rounding out the “most wanted” husband list, the adventurous Christian Grey of “Fifty Shades of Grey” fame received 17% of the vote, and sweet and sensitive tribute Peeta Mellark from the popular “Hunger Games” trilogy received 13% of the vote! If you need advice on how to pop the question to your sweetheart, ask us! We’ve just been voted as one of the Top 10 Dating Advice Columns awarded by 100TopDatingSites.org!